Friday Faves + Frugal Finds: a truckload of finds from a small church pew bench, rugs, decor, and more! The weather has been GORGEOUS here for the last 8 days or so after having weeks of rain… and the yard sales have been everywhere you can look. I actually had my own yard sale last weekend on Thursday and Friday so didn’t stop at any sales on Friday. And I really didn’t think I would stop at many on Saturday as I was headed out later in the morning to take some of my stuff that didn’t sell to donate. But you know I can’t pass up a sign if I pass it! I saw that the lady that I had bought all those rugs and that sunburst mirror was having another sale and she said she would add more each time so I had to stop. In fact, I bought so much, I had her hold it until I could come back with my husband’s truck! 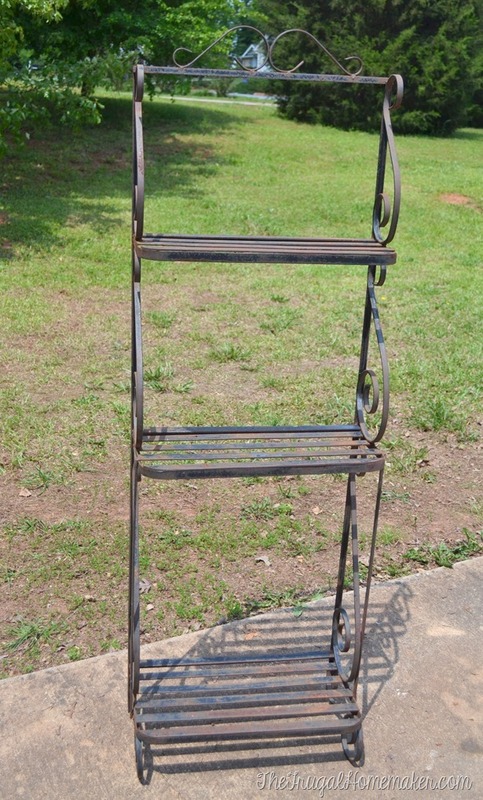 I had seen this metal baker’s rack at her previous sale and a few days later I had wished I had bought it. I realized I could have used it on my deck to display plants and things on it and also use it as sort of a serving station with a beverage dispenser, cups, and such when we had a cookout. Luckily she still had it, so for $20 it came home with me. It got a spray paint makeover this week so look for that soon on the blog. She also had some GRAY rugs this time – yay!! The darker gray one is a wool rug and was $10. 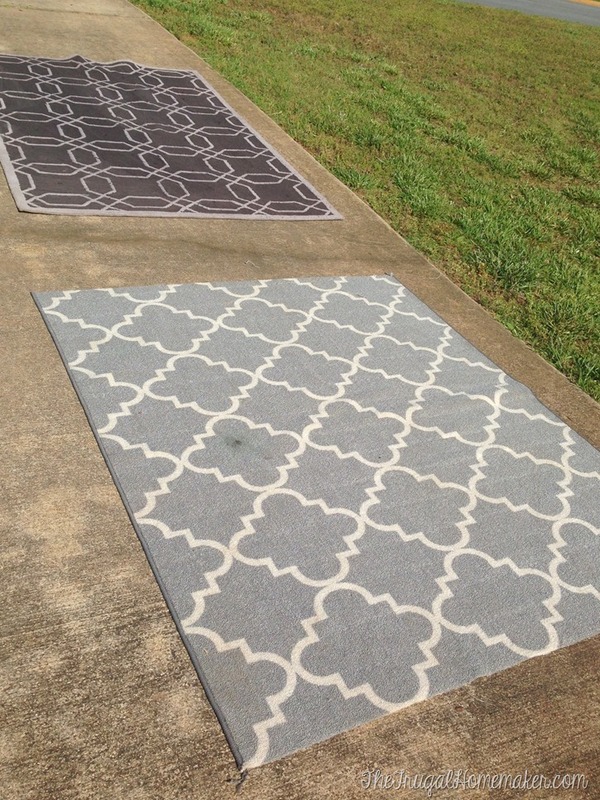 And the lighter gray rug was only $2 – it isn’t bound on 2 of the sides but that is ok with me. I am working on cleaning them and hope to get them in place after playing around with where they should go this week. 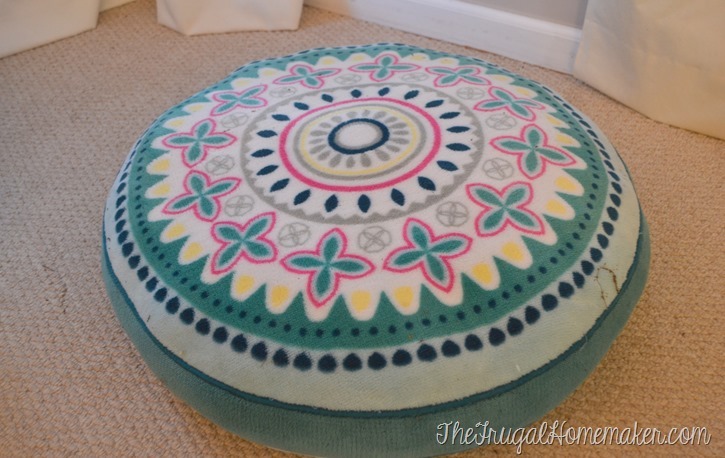 I also bought this floor pillow for $2 and my nieces love it. Her next door neighbor was having a sale and had some amazing furniture and even better prices. 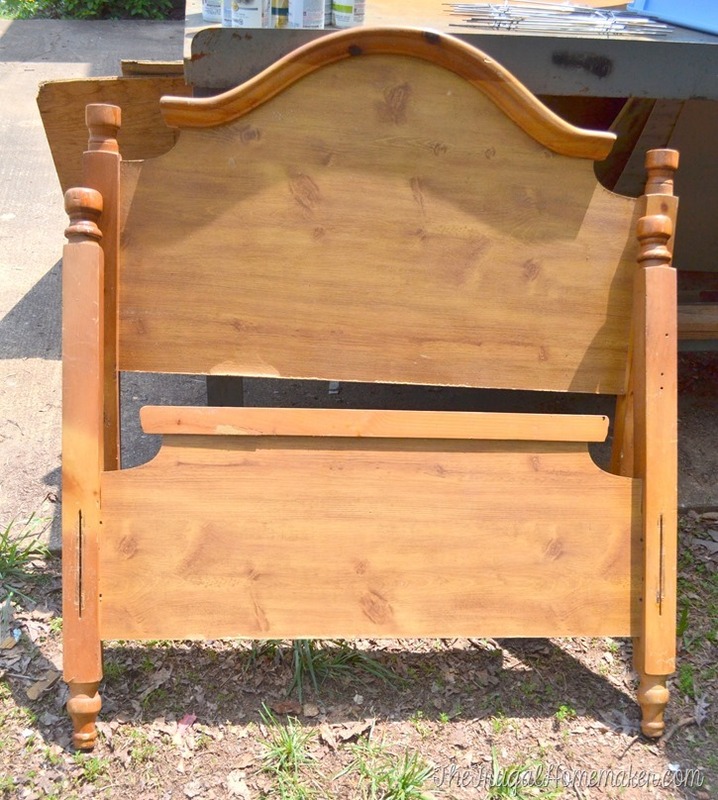 I picked up this super cute twin headboard and footboard and rails for $10. It has already been painted with some new chalky finish paint that I have been trying and I just love it – look for it soon! 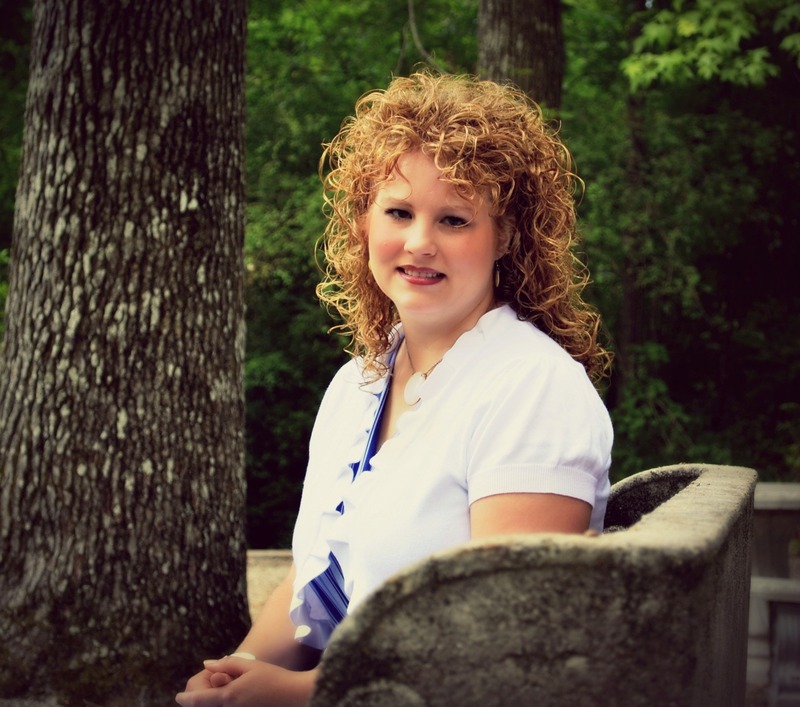 And this… oh my. I fell in love with this little bench. $8 and it hopped in the back of the truck too as fast as I could get it there. 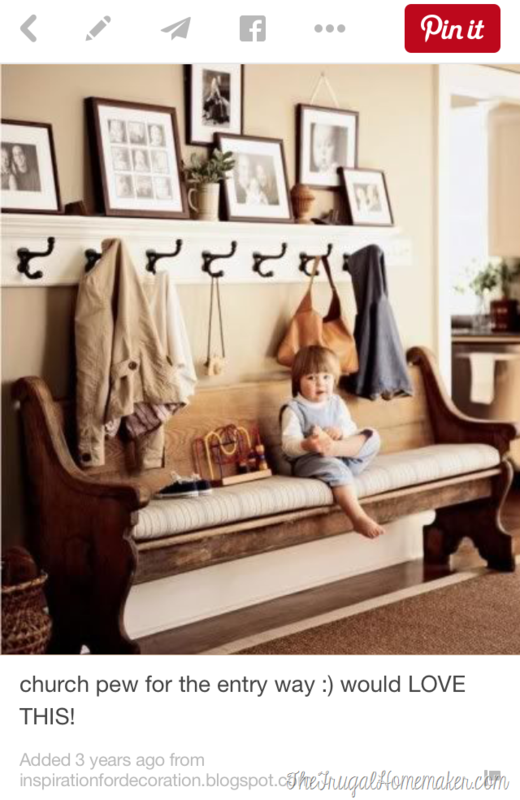 See this pin on my Entryway Pinterest Board? 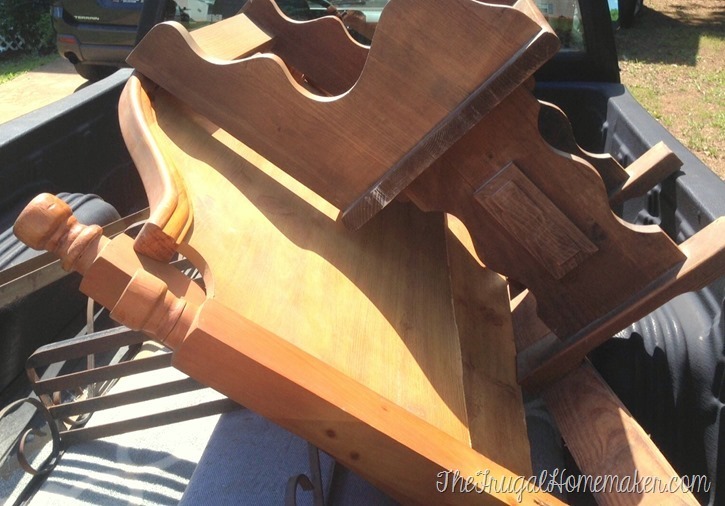 Yep, added it THREE years ago… I have dreamed of having an old church pew gracing my entryway in this craftsman/maybe a bit Farmhouse style house. I have been seriously motivated recently to get things done and BUSY painting everything in site. So this bench has had a complete makeover since last Saturday and you are going to LOVE the after! 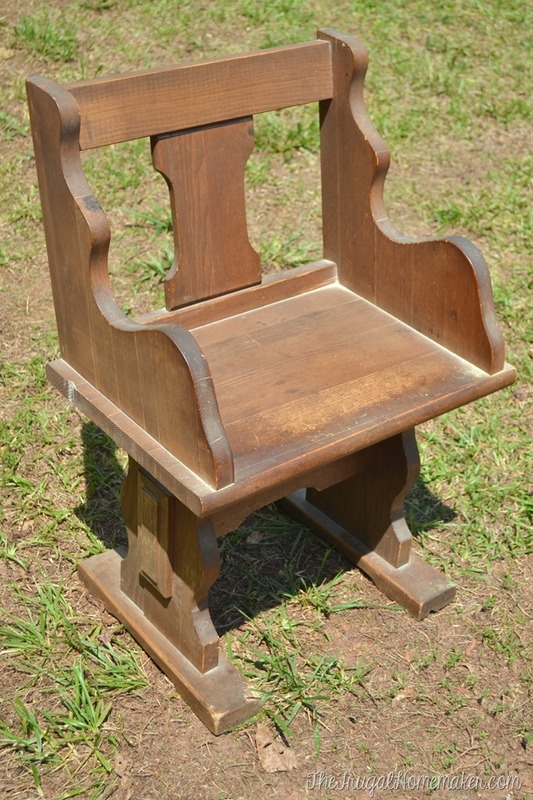 Still working on finding the Craftsman style house but I have this little miniature pew bench (of course with a cute little thrift store pillow on it) gracing my entryway right now. 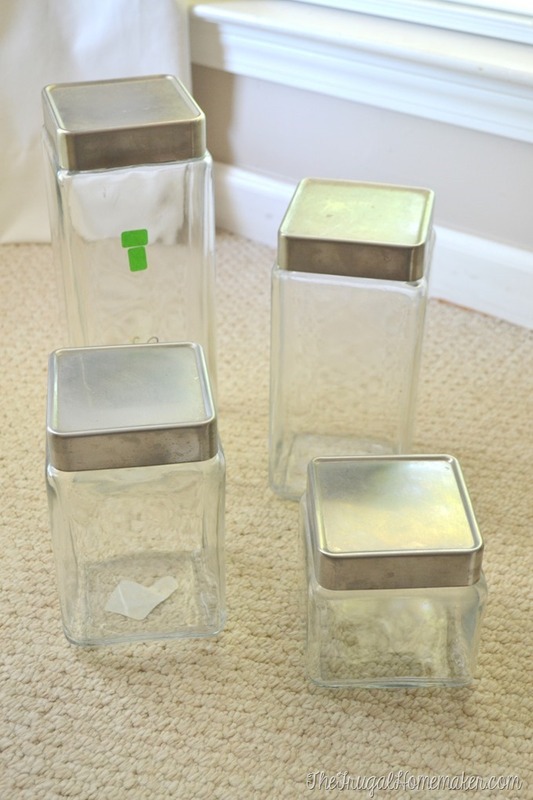 I also stopped at a church sale and picked up this set of glass canisters for $5. I have 2 other smaller ones like this and have wanted to find more because they stack and I just love them. Most of them still had stickers on the bottom like this – $10, $8 each so $5 for all 4 was definitely a steal! 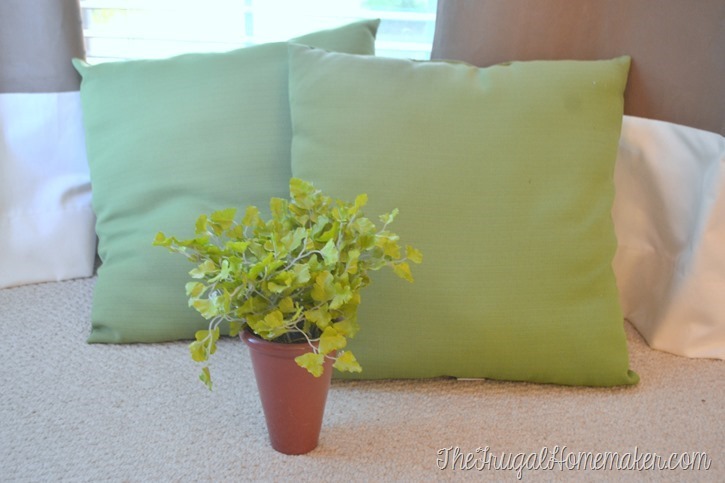 I also picked up 2 outdoor green pillows from Kohl’s for $1 each – was thrilled to find these as regular fabric just doesn’t last long against fading and stains outside. And these are almost brand new. The little faux potted plant was $1 too. I love real plants but in some places like bookshelves and such where you would forget to water them or they wouldn’t get enough light I love to use little fake plants. 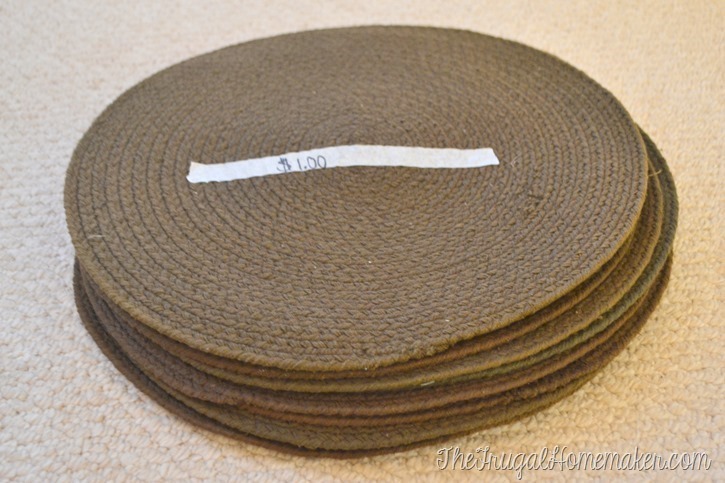 And I picked up these 12 brown placemats for $1.00. I certainly don’t need 12 but am going to share 6 with my friend Molly since it was $1 whether I took 6 or took all 12. 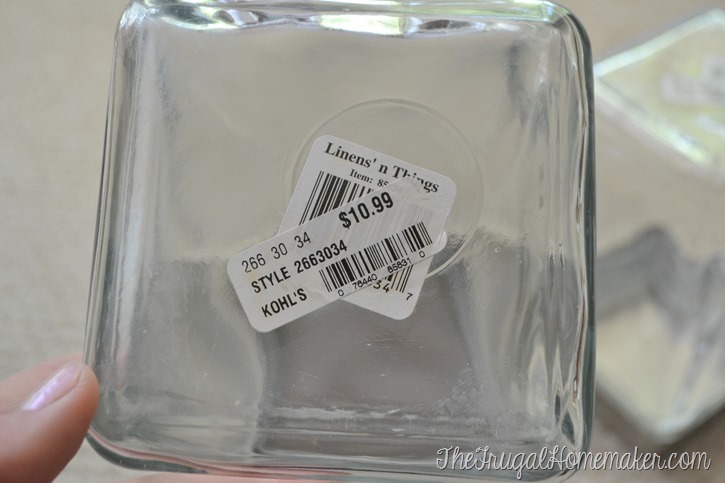 So that was my yard sale shopping adventures last weekend. For thinking I wasn’t going to get to go since I was having my own sale to coming home with a haul like this was pretty fun! Looks like another gorgeous weekend here again too – hope you get to get out and find some treasures this weekend! Share them on my facebook page.